Spring is coming! And it brings Games of Thrones! Cast of Rogue One. Note the R2-D2 hiding in the background! Like most fanboys we at Geek Pride love to obsess over the finer details, especially when it comes to trailers. 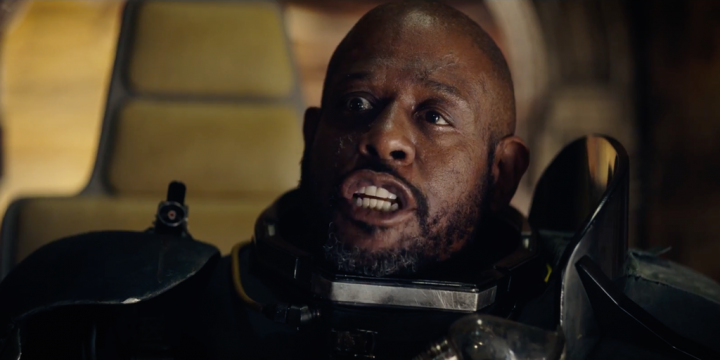 Rogue One: A Star Wars Story is no exception. So let’s break down what we can see from this 2 minute teaser and mix that up with what little the boys over at Lucasfilm have been tentatively explaining in press releases and what it does to the expanded Star Wars universe as we knew it. As per usual we’ll probably look back at this article once the film comes out and realise how wrong we were about everything. Cool, so the story will fill in some gaps between the end of Revenge of the Sith and A New Hope, meaning it’s probably set around 3-1 years BBY (that’s before Battle of Yavin in Star Wars chronology). So far the name of character played by Felicity Jones is Jyn Erso. From the trailer it seems she is the one charged with the task of stealing these plans to some dreaded weapon (dun dun dun, it’s the Death Star!!). This is an interesting move given that to many Star Wars EU fans this means that Kyle Katarn has been 86’ed from the canon of Star Wars. Katarn as you may or may not know was the central protag of the Dark Forces/Jedi Knight games of the 1990’s; the plot of the first game centring on his mission to steal the Death Star plans for the Rebel Alliance. Like Disney stated before all of the EU has been wiped out and no longer stands as official Star Wars lore so it shouldn’t come as a surprise that this plot thread has been rejigged. What’s more is that this story will not tie into the main saga itself so cool those keyboards those conspiracy nuts who are thinking Erso is Rey’s mother or something. Jyn Erso, like many other Star Wars characters, has the shadow of mystery surrounding her background. The trailer hints that she was either a rogue Han Solo-eque figure that has been coerced into serving the Rebellion or that she may have been in the Imperial Navy; the final shot has her decked out in a Tie Fighter flight suit. Many Bothans didn’t have to die to bring us this information, we just used Wikipedia and IMDB. 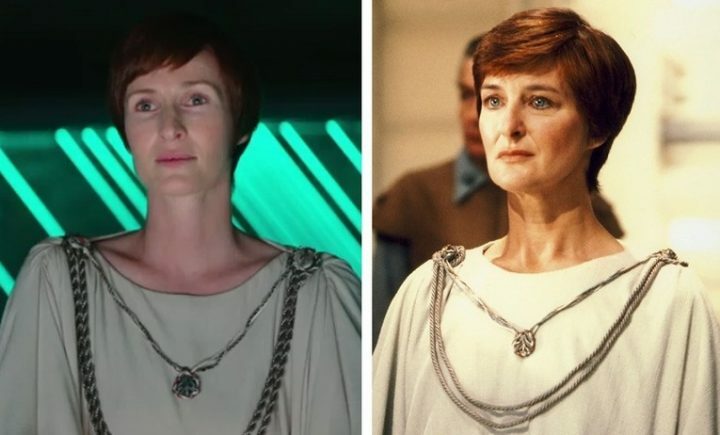 Much praise has been heaped upon the casting of Genevieve O’Reilly as Mon Mothma aka the only other woman in the Galaxy. This is in fact her second outing in this role having portrayed the rebel leader in Revenge of the Sith in 2005. Star Wars for so many of us is all about nostalgia and there seems to be bucket loads of it. Here we see the Imperial Star Destroyers and AT-AT walkers like we’ve always known and loved, not some knockoff’s or predecessors that were seen in the prequels. We see the duck billed helmet uniforms of the Rebel Fleet troopers walking about the ivy decked hangers of Yavin base along with the original Stormtrooper uniforms flailing about as usual. We also see the crowning glory of the space lazer crater being installed on the Death Star surface. This is the hard we all know and love and the designers are making sure that the sets, props and action will look and feel they exist in the real world of Star Wars as opposed to the OTT CGI mess that was the prequels. This my friends is the stuff of nerds dreams. Question, is it “at at” walkers or “A T, A T” walkers? It’s never actually clarified in the trilogy! 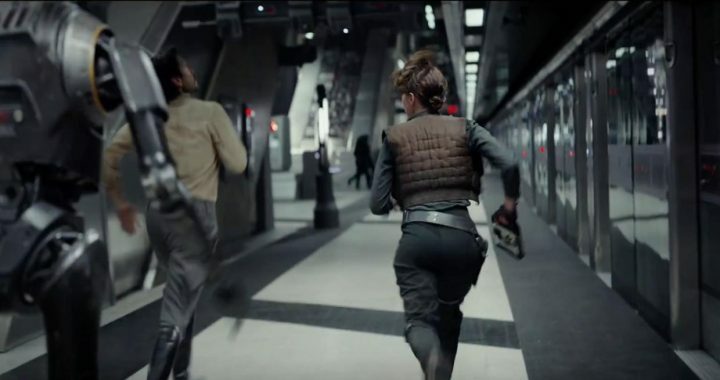 Like The Force Awakens, much of Rogue One was filmed in England with some eagle eyed fans noticing that some scenes were actually shot down in Canary Wharf tube station. So remember that the next time you’re on your commute, you could well be standing in an Imperial base! 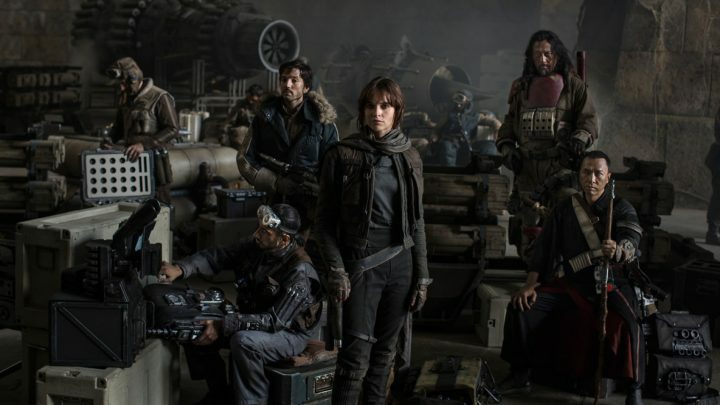 Two weeks on Rogue One’s trailer has surpassed 33 million hits with Disney execs making sure the fandom has its fair share of Star Wars in between the new main trilogy. Such was the success of TFA the saga will continue indefinitely with more spin offs, Lego Games and merch than you can shake a Jawa at. All we can say is that we’re definitely excited. Check out the trailer and let us know what you think. Rouge One hits the cinema on the 16th of December. Mark lives in Belfast where he runs a ukulele club, plays board games and watches old TV shows. His interests include Cold War architecture, trawling for vintage toys on eBay and reading Starship schematics on Memory Alpha. He was a finalist on the UK version of King of the Nerds.